Miami, FL – August 31, 2017 – The rise of the “healthy meeting,” with more nutritious food, movement and mindfulness for attendees, is a major global trend. 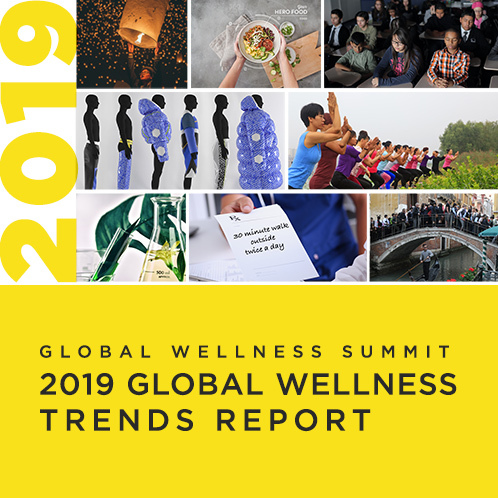 But the 500+ delegates to the Global Wellness Summit (GWS), taking place at The Breakers Palm Beach, Florida from Oct. 9-11, will experience a first: the transformation of all conference spaces by a unique process called “purposeful design” for human well-being. Partnering with NYC-based EcoChi, a company that blends modern, evidence-based design principles (like biophilia, biomimicry and environmental psychology) with millennia-old strategies (i.e., Chinese feng shui, the design wisdom of the Mayans, or Vastu Vidya principles from ancient India), the Summit spaces will be transformed into places that ignite attendees’ senses and enhance their brainpower and well-being. EcoChi’s system, marrying green practices with lessons learned from science and ancient cultures, has been globally recognized as a groundbreaking wellness design standard, and has been implemented in residences, workplaces, restaurants and hospitality properties around the world since 2009. And EcoChi’s founder and president, Debra Duneier, the author of “EcoChi: Designing the Human Experience”, will present on “The Experience of Purposeful Interior Design” at the Summit, and also be interviewed by Jared Weiner (Chief Strategy Officer, The Future Hunters) on the topic.